great for parties, fundraisers, camping trips, school and church events. 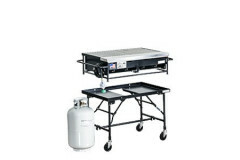 boasts a 3' x 1.5' cooking surface. 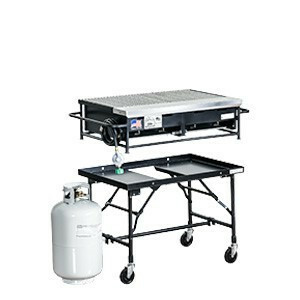 this is a professional catering unit, so it can be transported in any hatchback car/suv/van with it's folding main stand.